It would seem from the outset that Alethea Arnaquq-Baril’s curious advocacy doc Angry Inuk is what, in social media parlance, would be described as trolling. How could one very well argue a case for seal hunting when our eyeballs are constantly diverted towards placards and slogans in which furry baby white seals – often with salt tears in their eyes – are being subjected to gory death on the ice shelves? But this isn’t a film that presses a controversial point of view with aggressive, logic-free rhetoric, more than it argues a case for democratic nuance and against a bizarre double standard when it comes to facing the realities of global capitalism. Arnaquq-Baril’s film opens on a quaint family outing. A father, who is wrapped thick in fur-trimmed outdoor gear, pops off a shot from his rifle into the middle distance. He then, with his son, carefully steps into a rowing boat, drifts out into an Arctic pool, and then hoists up the floating corpse of a bearded seal whose head impacted with the bullet. Back on the ice, the man expertly butchers the seal, scooping up a morsel of brain meat into his mouth as an iron-rich treat prior to the journey home. The entire community gather to reap the benefits of his catch, mostly free of charge. In all honesty, it looks like the beginning of a horror movie. 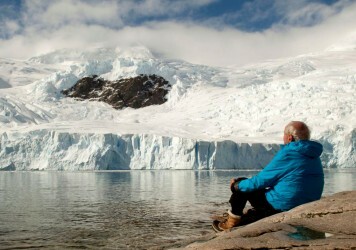 But out on the plans of Baffin Island, which is in the Arctic region of northern Canada, there are no sheep or cows or chickens or pigs just wandering around the landscape ready to be rounded up and transferred to the cooking pot. It’s seal or go hungry. The film centres around an EU decision to ban all products derived from seals, which it argues is the result of intense lobbying by corporatised animal activist organisations. While the Inuit peoples are exempted from the ban on hunting, they have no outlet to sell their wares, and so future sustainability becomes an issue. Although the film sometimes comes across as a fairly standard piece of sentimental agitprop, it does speak to the wider notion of how democracy is unable to please all the people all the time. It also demonstrates the ineffectiveness of social media when it comes to both campaigning and articulating a simple message. 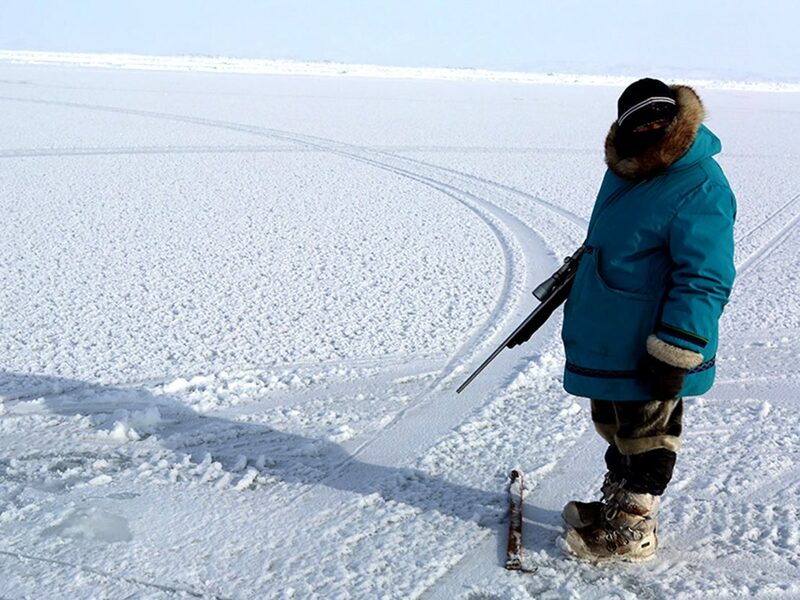 Arnaquq-Baril is filmed on the verge of tears when she is shown scanning through the reactions to her (perhaps ill-advised) #Sealfie campaign in which Inuit hunters were encouraged to post images of themselves wearing seal products. A photo of a cute chubby baby laying next to a fresh seal corpse doesn’t have the intended political implications when shorn of all relevant context, but you don’t really feel that the director sees that. The film itself is an extension of the activism it documents over five years, but whether it will achieve its intended goal is anyone’s guess. It certainly offers a compelling case as to why seals should be treated the same as all other livestock, and even hints that giant charity organisations have latched onto these cute critters as an easy way of lining their own deep coffers. Arnaquq-Baril strives to tee up a David vs Goliath moment, but it never comes, which is a shame as it means that the film offers no rational dissenting voices. Yet perhaps unknowingly, the film achieves an ulterior significance. It is the tale of a secluded people who take very little away from western tradition, but by dint of their own ingrained cultural beliefs, are subjected to (and suppressed by) western values. It asks whether governments understand the impact of their lawmaking on a community level. It exemplifies an age where cheap slogans and quick-fix moral satisfaction rule the roost. At also ends with some killer Inuit throat-singing. 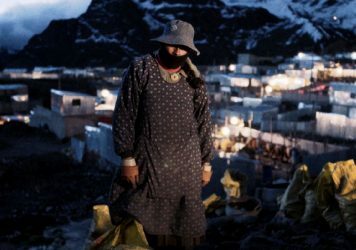 Salomé Lamas’ documentary Eldorado XXI follows migrant workers in the Peruvian Andes. 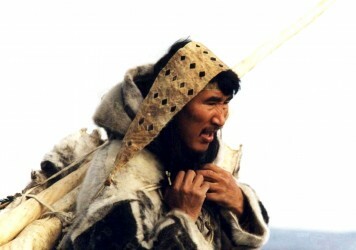 Released 15 years ago, Zacharias Kunuk’s snowbound epic raised awareness of Arctic culture.